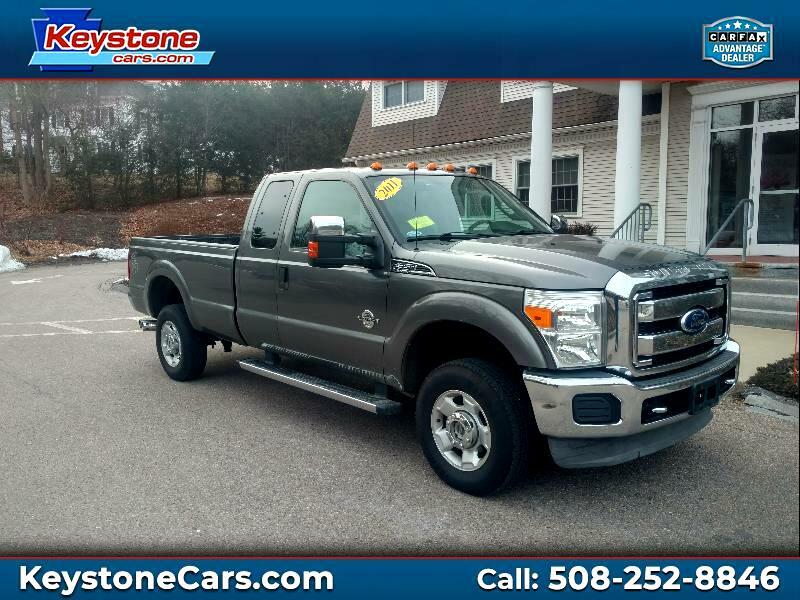 Used 2011 Ford F-350 SD XLT SuperCab Long Bed 4WD for Sale in Holliston MA 01746 Keystone Automotive Inc.
6.7 L 390hp V8 Power Stroke Diesel!! Why buy from us? What makes Keystone Automotive Inc. different than our competition? We've been in business since 1991, all of our vehicles are hand selected (most are local new car dealer trade-ins), go through a 125 point inspection and get fully serviced, including an oil change . Trade- ins are welcome! We're a Carfax Advantage Dealer, we always provide a FREE Carfax & our vehicles qualify for the Carfax Buyback Guarantee. We're also a Cars.com Certified Dealer. We stand behind every vehicle we sell with a Massachusetts Limited Used Vehicle Warranty PLUS every eligible vehicle has a 6 month/ 7,500 mile Certified Pre-Owned Protection Plan. We also provide excellent value along with transparent, bottom line pricing! Recognized as 2018 MIADA Quality Dealer of the Year! We have great finance plans for all types of credit, good, bad or no credit. Experience the Keystone difference! Open 7 days a week, INCLUDING SUNDAYS 11- 3/ Call or text (508) 252-8846 for quick answers to your questions about this vehicle! Your message will always be answered by a real human — never an automated system. Dealer Disclaimer: Information deemed reliable, but not guaranteed. Interested parties should confirm all data before relying on it to make a purchase decision. All prices, offers and specifications are subject to change without notice. Prices may not include additional fees such as government fees and taxes, title and registration fees, finance charges, $379.00 dealer document preparation fee, processing fees, and emission testing and compliance charges. Sale prices and special offers may not be combined. Commercial vehicles do not qualify for CPO warranty. Qualifying CPO warranty only applies to vehicles sold at website price. Carfax only reports on 1981 and newer vehicles.